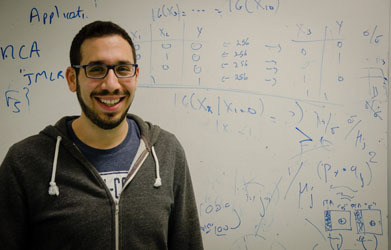 Giorgos Borboudakis is a PhD student at the Computer Science Department of the University of Crete, and a co-founder of Gnosis Data Analysis IKE. He received his B.Sc. in 2010 and his M.Sc. in 2013 from the Computer Science Department of the University of Crete. He received several undergraduate scholarships from FORTH-ICS (2008-2010) and from the SSF (State Scholarship Foundation – Greece) (2007-2008). He has 12 peer-reviewed publications, including publications in the most prestigious machine learning conferences (ICML, UAI, ECML, KDD), a publication in Nature Computational Materials and a publication that received the best student paper award at EUSIPCO 2015. His research interests include automated machine learning, causal discovery, and feature selection with extensions to big data.